Barbara Nelson is the Chief Technology Officer at Cirrent, a Silicon Valley startup that is making the internet of things easy for mainstream consumers and helping companies make great products. At Cirrent, she is responsible for delivering an architecture that enables IoT devices to connect to a global Wi-Fi network without any user interaction, reducing the friction associated with bringing IoT devices online. Prior to joining Cirrent, Barbara spent 12 years at iPass, as CTO and Senior Vice President for Product Development. At iPass, she drove the company’s overall technical vision, strategic projects and initiatives addressing the growing global mobility Internet and cloud opportunities. She also led the product development and operations teams. Before iPass, she served as a senior architect at Extricity Software, a provider of business-to-business integration applications. She also spent seven years at General Magic, developing a patented mobile agent platform, and building a carrier-based service including voice user interface (VUI) and graphic user interface (GUI) software. Nelson holds a bachelor’s degree in computer science with honors from University College Dublin, Ireland. The function of the IoT Community, is to focus on the adoption & application of IoT in commercial environments, seeking to understand & contribute to applying the technology or overcoming the wide variety of barriers, inhibitors, and technical & operational issues. 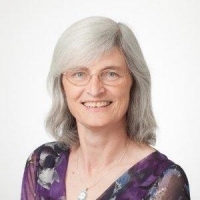 As a member of the board, Barbara will provide impartial input and guidance to the overall vision, strategy and execution that is helping to shape the current and future direction for the IoT Community, as well as the broader IoT industry.